It was just a little over a month ago when Philadelphia fans stood in shock at the trade Ron Hextall had just executed. Chirs Pronger and Nicklas Grossmann were sent to Arizona in exchange for Sam Gagner and a conditional pick in 2017. At first glance, this trade seemed all about the money. The Flyers shed nearly $8,000,000 in cap space by getting rid of Pronger and Grossmann, and inherited $3.3 million by acquiring Gagner. It seemed as if the Flyers may buy out Gagner, but that notion quickly went by the wayside. So what can he bring to the Flyers? Versatility is one thing that the Flyers absolutely need on the offensive front. They are completely overloaded at the center position. Claude Giroux, Vinny Lecavalier, Brayden Schenn, Sean Couturier, RJ Umberger, Ryan White, Chirs Vandevelde, Nick Cousins and Ganger are all natural centermen. 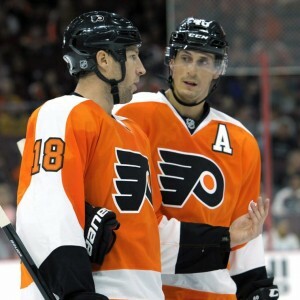 Moving some of these guys to the wing hasn’t payed very good dividends for the Flyers. Umberger had an awful season on the wing and even Schenn has noted that he is much more comfortable at the center position. As I mentioned above, Gagner is a natural center, but he has commented on his willingness to also play the wing. The move became a near necessity for him when he was benched early last season in a Coyotes uniform. By the way, hasn’t chatter in Philadelphia been centered around finding Giroux and Voracek a solid, scoring winger? I believe it has. A line of these three guys could be absolutely deadly to opponents, and it really could work if you think about it. Gagner has never had the opportunity of playing on a line with elite players. He has suffered through some awful teams in Edmonton and Arizona. Last year, he led all Coyotes forwards in points with 41. His linemates (Hanzal and Rieder) had 54 combined. Putting him on a line with Giroux and Voracek might allow him to focus more on his game, and less on being the focal point and anchoring the line. That ideology could also make its way to the second line, where the 25 year old might be an even better fit. If Gagner played wing on the second line, it would be a huge bonus for the Flyers. First of all, this would allow Schenn to play where he is most comfortable, at the center position. More importantly, a line of Gagner-Schenn-Simmonds would create a dynamic offensive threat that would be tough to match. Take a look at Gagner’s scouting report, he is labeled as having great vision and an ability to always find the open man. That could be priceless, especially on a line with Wayne Simmonds, who loves to hang around the front of the net. Of course all of this is hypothetical, but there’s more to the story. Low risk is a phrase that should be music to the ears of the fans in Philadelphia. Anyone who pledges allegiance to the Orange and Black is accustomed to high risk signings. The type of signings pay players far more they what their play deserves. Singing for ‘now’ by shooting yourself in the foot later on. Lecavalier, Ilya Bryzgalov, and Andrew MacDonald are just a few that come to mind. Gagner isn’t one of those players. He is just 25 years of age, and as I mentioned above, has never had the opportunity to play on a team with some big names. The low risk factor especially kicks in when you figure the dynamic the Flyers posses. They have guys who have slick hands (Giroux), guys who are gritty around the net (Simmonds), and guys who are very responsible defensively (Couturier). It’s hard to imagine a guy like Gagner won’t be able to fit in somewhere. And then of course there is his cap hit. $3.2 million. That’s less than guys like Lecavalier, Read, and Umberger. But that still isn’t the biggest kicker. Gagner is only under contract for one more season. That is huge for the Flyers and it could be eerily similar to the situation they found themselves in with Michael Del Zotto this past season. If he fails to produce this season, the team has no further obligation to him after this season. However, this is the perfect opportunities for Gagner to find a new home. If Gagner were to produce and find a niche with the Flyers this season, the Flyers could brighten their future even more by keeping him around. Don’t forget, this is a guy who had an eight point night just a few seasons ago, one of only thirteen NHL players to do so. It is extremely low risk and it’s essentially a season long tryout for the Flyers and Gagner. It could greatly benefit both sides if this works out. Gagner was a very highly touted prospect coming into the NHL, and don’t be mistaken he has been flashy at times, but fell into the trap of a system the Oilers had created. He then moved on to Arizona, who had no real offensive threat, considering their top point grabber was a defenseman. Coming here will allow him the chance for a fresh start. He’s in a new conference, he’s joined a team who is in the midst of a transitional phase, and he is in a contract year which could very well turn his career around. For the Flyers, Gagner could be that one puzzle piece they are missing in the top 6 forward tier. They have players in the system, but his willingness to play the wing, along with his playmaking ability could be a huge upgrade for a team that just couldn’t find their groove last season. 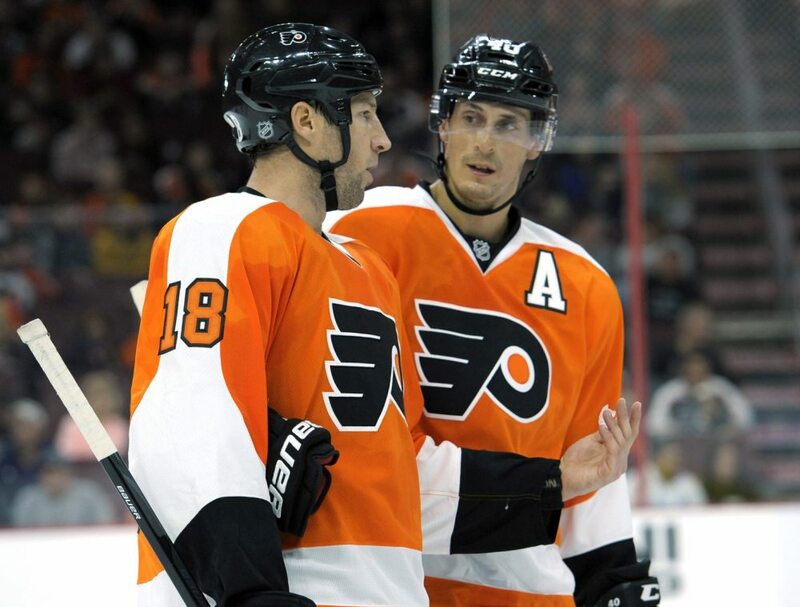 The Flyers and Gagner both have a lot to gain from this trade, but only time will tell how it unfolds.